Do you ever think, “There’s got to be an easier way to decorate than dragging those big boxes of Christmas stuff out each year?”. Well, I say there is!!!! Sometimes the easiest decorating is the best. 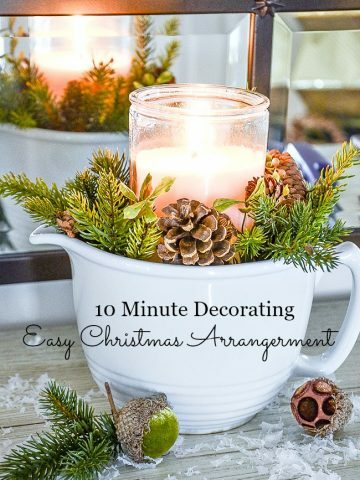 Today I have a 10 minuted Christmas decor idea that will light up a counter or table or spot in your home. 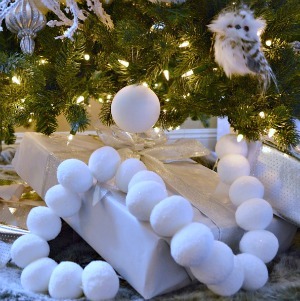 So easy and you can use this design to make lots of other decor for your Christmas home! Today on Decorating Tips And Tricks we are talking about TRANSITIONING FROM ONE DECOR STYLE TO ANOTHER. And I bet we have all done that more than once! We have some great tips to get you started and keep you focused on your goal!!! You can listen to any and all of the DTT episodes right HERE. 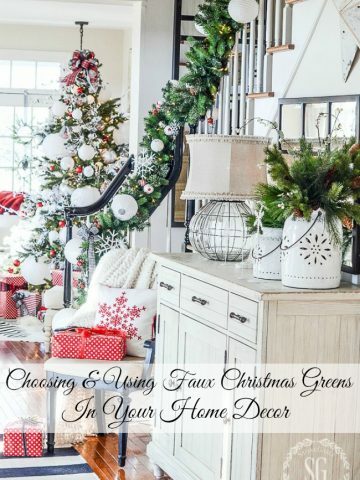 Make sure to check the bottom this post for more 10 minute Christmas ideas! This easy to put together arrangement is what I call a “recipe”. If you learn how to make this then you can create all kinds of other arrangements too! 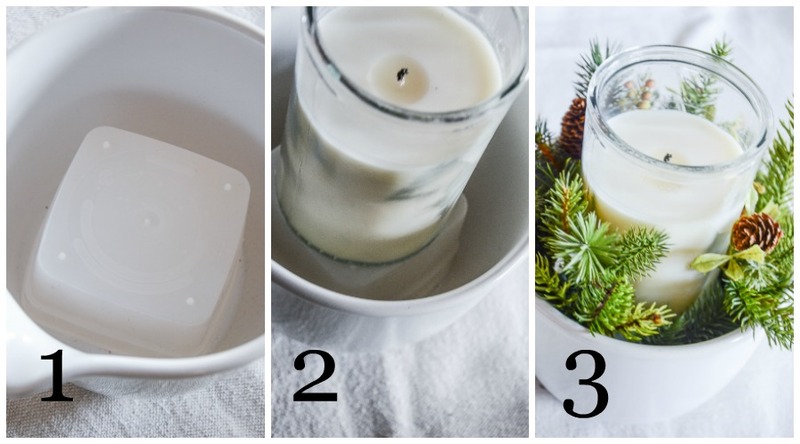 1 and 2 Depending on how tall your candle is and how tall you want it to raise up from the arrangement, put the candle on a small container or anything that is stable and will raise it up. 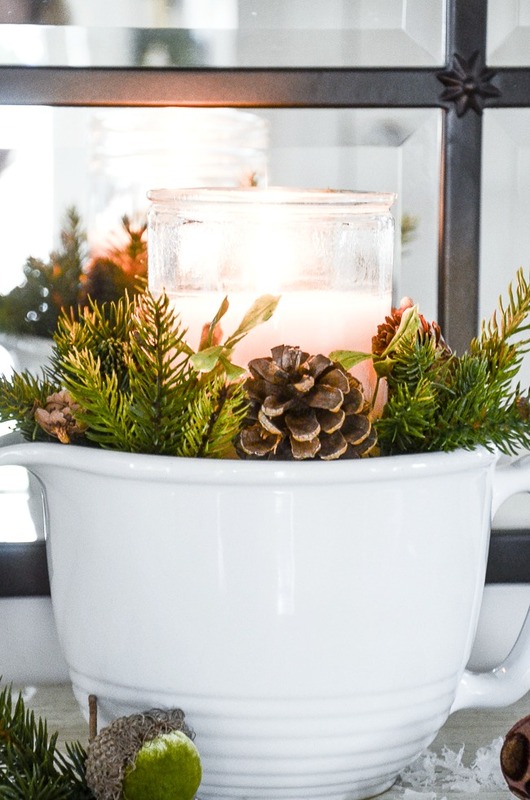 If you have room around your candle add pinecones to fill it in. 3 Stick greens here and there among the pinecones. 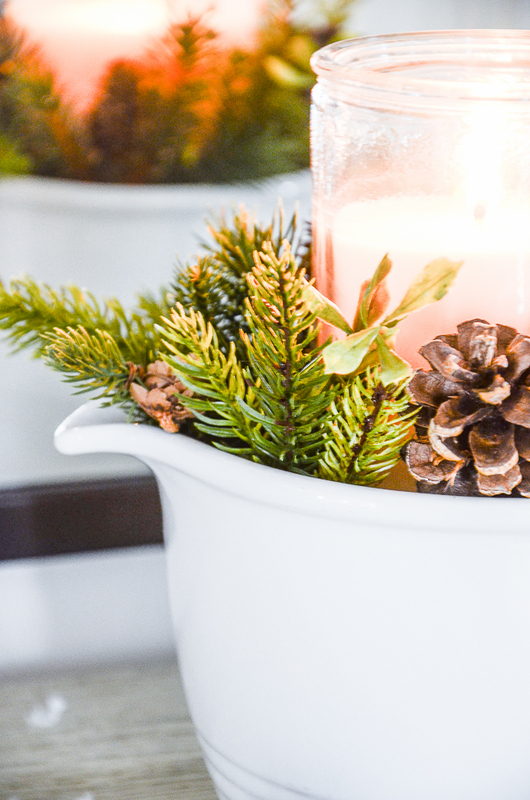 Add any other greens and pinecones to the arrangement. Done!!! Just remember, any candle must not be left unattended! Makes sure to check out the other easy 10 MINUTE Christmas ideas. You might like to follow me on Pinterest and all the great things I’m finding to pin every day HERE. I just love Christmas and holiday decorating so much fun! No matter your style you can find something that fits you. Please enter me into your drawing. You are always an inspiration. Love the ideas! Perfect quick decorating ideas. This would be so cute in the kitchen. That’s where my arrangement found its home. Love the quick and easy arrangement. Will definitely try this out. Your ideas are so awesome! Thank you, thank you, thank you! I have used so many of your ideas and recipes this season that I can now say my house has been fully ‘stone gabled’! Thanks so much! LOL!!!! Sally Ann, how cute!!! I’m so thrilled you are inspired. Love the easy candle arrangement! 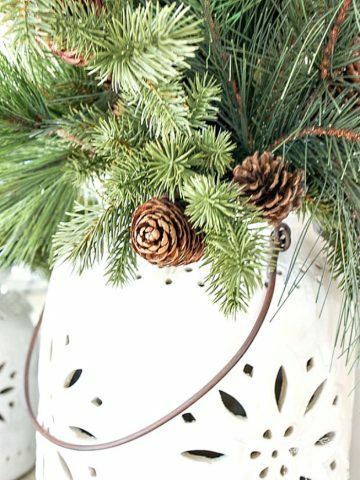 Next year I’m using greenery, pinecones doing easy arrangements and vignettes! Not going to use any other xmas items. 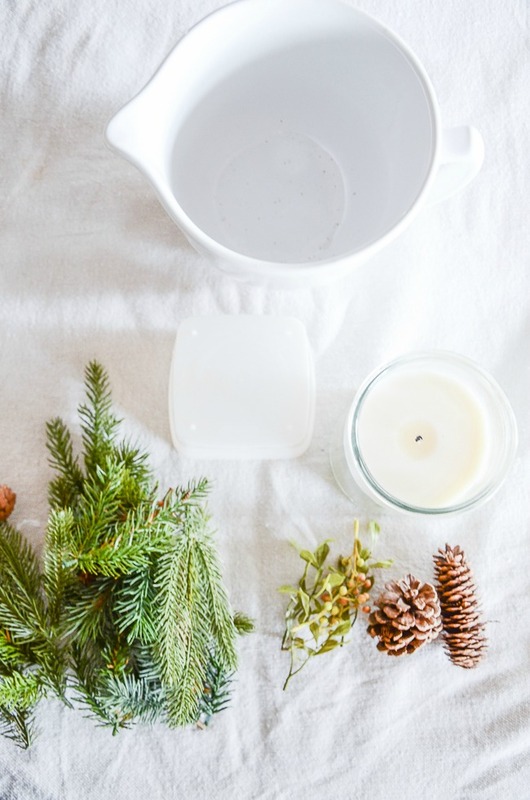 I think the simplicity of greenery and candles looks beautiful! YOu will love it and it is simple. Simple and beautiful! Simple rustic elegance that makes a statement. Thank you for sharing. I like the easy peasy ideas. Thanks! What a lovely idea for a beautiful candle arrangement. I especially love that the arrangement would look beautiful in the kitchen. I love candle arrangements in the kitchen. 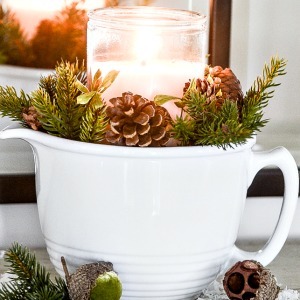 Love your 10 minute Christmas decorating ideas. This is so beautiful, Love how you displayed it! I love how you use a simple mixing bowl to creat your arrangement!! Thanks for the “recipe”. Perfect and simple! I love this idea Yvonne and that’s why I love your posts. Every year I purchase sprigs adorned with berries and some dressed with snow and just add some sparkle with white lights and WOW the glow bouncing off those sprigs are magical to me. Simple and stunning! Great idea! 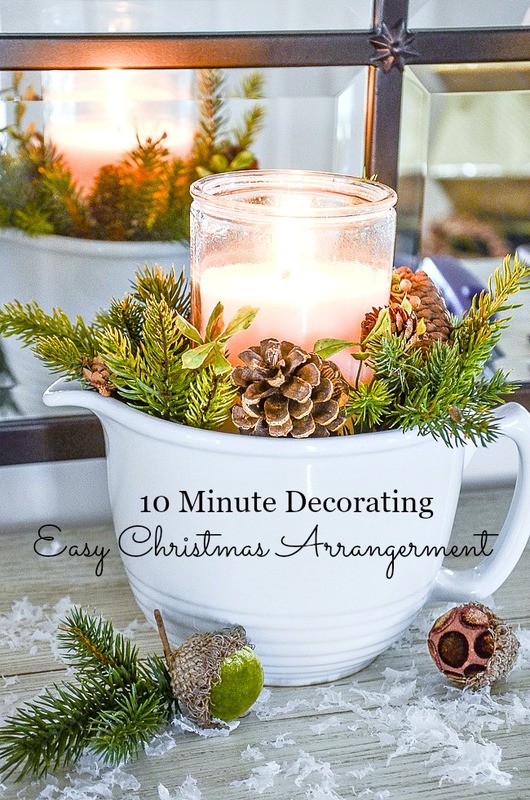 Great idea for the recipe for the 10 minute arrangement – makes decorating so easy. 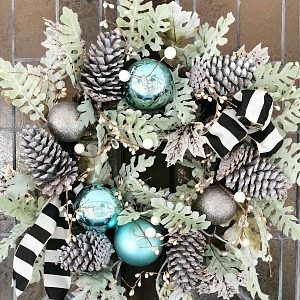 LOVE your refreshed Christmas wreath — the dusty miller is a wonderful change from the standard Christmas greenery! These are all amazing ideas. Beautiful Yvonne! 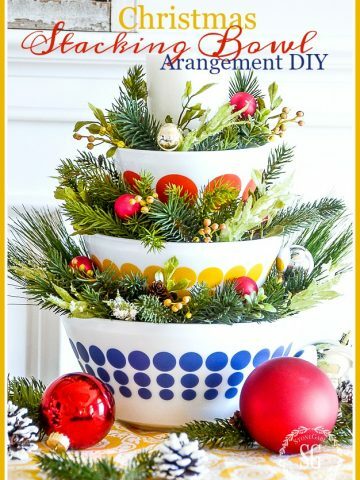 So easy to do yet it looks so pretty and festive!! Love it! ???? The advertising on your blog seems to be increasing to the point that there is more sponsor info than actual content. As I scroll down on my phone its hard to pick out the actual content from the ads. It’s unfortunate as I used to really enjoy following you. Cate, this is not true! I decreased my ads. 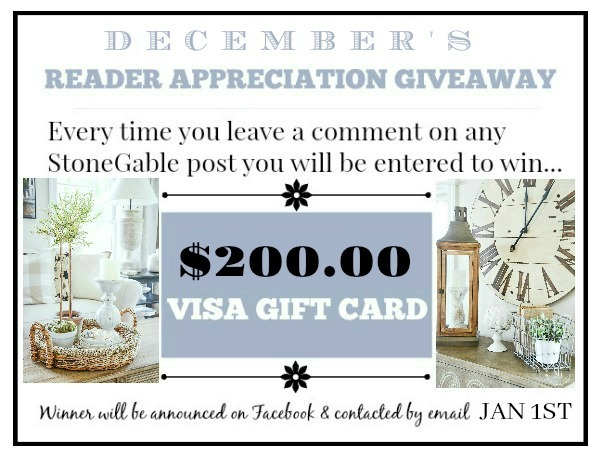 It takes $$$$ every month to keep StoneGable up and running. I am so happy that sponsors want to advertise. I hope you can ignore the ads if they do not interest you and look past them like you would a magazine. Thanks for understanding!!! I do love your ideas! Fresh and Light. I truly Love the simple farmhouse decorations you show us how to accomplish , thanks! I will be doing this arrangement and the stacked bowl arrangement this year! Tjanks for great ideas! Love quick and easy decorating.I try to shop around my house and reinvent what I have. I am all for 10 Minute Decorating!!! Quick, easy and very nice! I’ve added little touches of Christmas and winter in different rooms too. If only the faux carried the fragrance of the naturals. As always, such good and practical ideas! I always look forward to your ideas, and especially Christmas. I’ve learned (now that we’ve been retired for awhile now) that I start early (we put up small 4′ trees in crocks with twinkle lights just before Thanksgiving. I then decorating each day – not all at once – it makes a difference. And – I certainly have changed things around each year – less, but still beautiful. I awaken early, turn on our ‘twinkles’, and the fireplace – with my coffee in hand, it starts my day. Thanks for all your wonderful ideas – have a wonderful family Christmas filled with love and joy. What a wonderful way to start the ay, Michelle! How lovely those trees must be just all twinkly. Every year when I begin to get my Christmas bins out, at some point it looks like Christmas exploded in my house. This year I took a streamlined simpler approach just like you are talking about and only had one short blurb of explosiveness…and it still looks so welcoming and festive. Thanks for all your great tips and suggestions. Love the ease and simplicity of these little arrangements. Wow… what great ideas…. It is very overwhelming when you love getting the house ready … but the clock is not on your side !! lolol…. These are great … easy suggestions!!! Thank you !! Hi Terri, Yes and I’m going to hate saying this. I used to NEVER decorate for Christmas before Thanksgiving. In fact I made up a word for it: Crossholidation. But I must admit I do love having all of December to enjoy my Christmas decor. So I start decorating around the middle of November. Not the tree though. We do that Thanksgiving weekend! I am now a convert. Thanks for the easy ideas to spark up my house for the holidays. It is fun to have some projects that don’t take a lot of time. Love those acorns! Thank you for taking the decorating pressure off me! I am really pressed for time now and have made my Christmas decorating simpler and more natural. I create one vignette per day so I don’t feel overwhelmed and it gets my brain working on the next one…and the next one! In January, I will do the same in reverse except I will trade Christmas for my winter looks. Today, I decorate my small antique feather tree and plan my Williamsburg arrangements to assemble on Saturday. I’m just hoping the deer don’t eat my decorations before the holidays are over! I love your attitude! You are so right and you are enjoying the process! Isn’t that what decorating for Christmas should be all about? I love quick and easy ideas! These are the most fun because they’re so simple to do. I love keeping bags of “fluff” from cut up faux greenery because that’s what I will use to tuck into pitchers, bowls, etc… around the kitchen or the house and into vignettes. 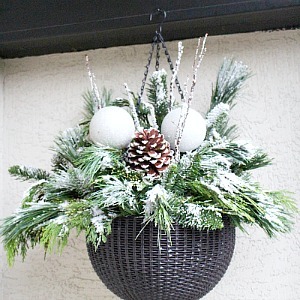 I have bags of pine cones, and re-use them every year! I’m also a huge fan of battery candles with timers. I love this Christmas arrangement. Sometimes, the simplest ideas are the most beautiful ones. Thank you, Yvonne!